On Tuesday 18 November 2014 Wiltshire Police will once again be offering opportunities for people who are seeking a career as a police officer. The last recruitment campaign took place in November 2013. The on-line application will be open for eleven days until Friday 28 November, so people can apply any time within that period. Wiltshire Police are running another recruitment process this year in their search for dedicated people with the right skills, knowledge and experience to join the devoted team of police officers who provide an excellent policing service across the county. 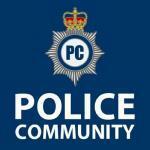 Chief Constable Pat Geenty said; “I am delighted that we are in a position to recruit additional police officers. Although the service is facing many challenges, policing remains an excellent career choice. Police and Crime Commissioner for Wiltshire and Swindon, Angus Macpherson said: “We are looking for people who have a clear commitment to serve the public. “We want to recruit people of high integrity who can willingly sign up to the Values and Behaviours which are now part of the DNA of Wiltshire Police. “We are looking for intelligent people who will be conscientious in carrying out their duties. “I hope that the force will select candidates who possess emotional intelligence because they will be dealing with a wide range of people and often at times of stress or personal crisis. Applications are welcomed from both current Wiltshire Police staff and from members of the public. GCSE Maths A* - E, or functional/numeracy skills Level 2 or equivalent. The initial salary will be £19,383 per year as specified in the Winsor recommendations. Not have any outstanding County Court Judgements against them or have been registered bankrupt without the debts having been discharged. Tattoos will not necessarily preclude you from appointment. However there are limitations on the design and location of the tattoo. This will be assessed in the application process. Applicants must apply via the online pre-assessment tool which can only be hosted on the following browsers; Internet Explorer 7 or above, Firefox 3.6, Google Chrome 8, Safari 5 (Mac and PC). The online pre-assessment tool has not been developed for mobile platforms (iPads, tablets, iPhones etc.) so applicants will need to use a laptop or desktop computer. For more information please call the Recruitment Team on 01380 734132 (Mon-Fri 8am-6pm) or email recruitment@wiltshire.pnn.police.uk. Please do not call 101 for information about the recruitment process.